William Morrow Cookbooks, 9780061997181, 304pp. 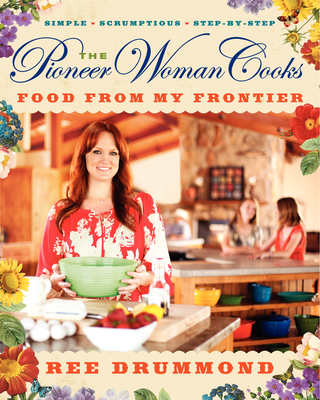 Accidental ranch wife, beloved multiple Bloggie Award-winning blogger, and #1 New York Times bestselling author of The Pioneer Woman Cooks, Ree Drummond is back with a second helping of irresistible recipes, down home wit, and warm remembrances. With The Pioneer Woman Cooks: Food from My Frontier, Ree serves up a feast of delicious, soul-satisfying, cowboy-approved comfort food that the whole family will enjoy—from glazed doughnuts to restaurant-style salsa to spicy Dr. Pepper pulled pork to the best grilled cheese ever!